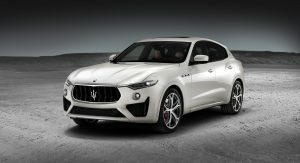 The Los Angeles Auto Show kicks off tomorrow and Maserati has announced plans to use the event to stage the North American auto show debut of the Levante GTS. 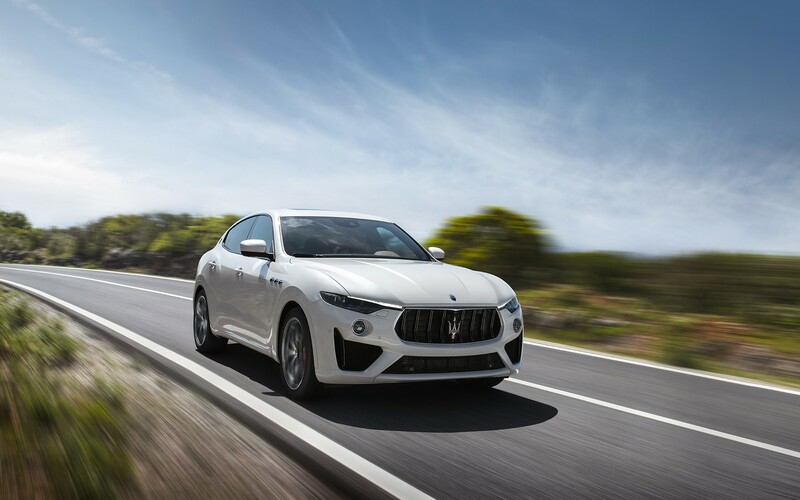 Originally unveiled over the summer, the Levante GTS is a high-performance crossover which features a twin-turbo 3.8-liter V8 engine that produces 542 hp (404 kW / 550 PS) and 538 lb-ft (730 Nm) of torque. 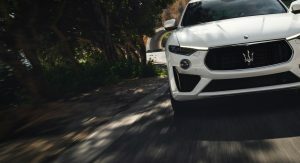 The engine is connected to an eight-speed automatic transmission which sends power to a standard all-wheel drive system. 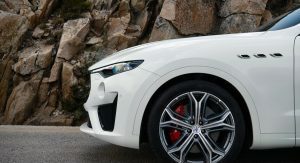 This setup enables the model to accelerate from 0-60 mph (0-96 km/h) in 4.0 seconds, before hitting a top speed of 181 mph (291 km/h). 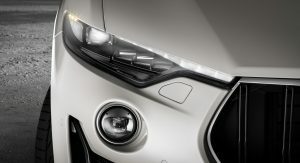 Besides the powerful V8 engine, the crossover features a sportier front fascia with larger air intakes. 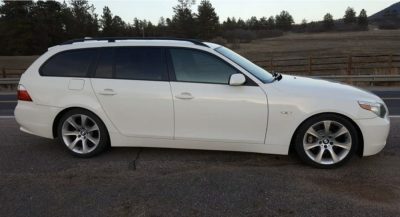 The model also comes with a modified rear bumper and 20-inch alloy wheels featuring a dark gray finish. 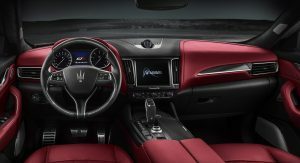 Inside, the cabin comes nicely equipped with 12-way power front sport seats and a heated sport steering wheel. 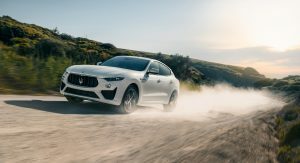 Other niceties include heated / ventilated front seats, a 14-speaker Harman Kardon audio system, a limited-slip differential and a Skyhook air suspension with electronic damping. 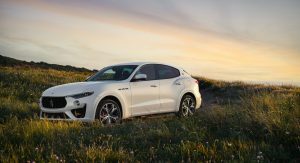 Pricing starts at $119,980 which means the model significantly undercuts the range-topping Levante Trofeo that has a base price of $169,980. 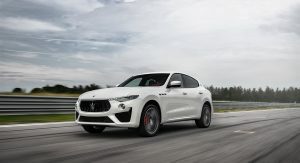 The latter model also has a twin-turbo 3.8-liter V8 engine, but it produces 581 hp (433 kW / 590 PS) and 538 lb-ft (730 Nm) of torque. 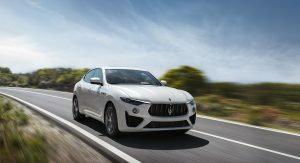 Thanks to the extra power, the crossover rockets from 0-60 mph (0-96 km/h) in 3.7 seconds and onto a top speed of 187 mph (300 km/h). 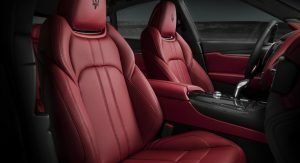 Other updates include newly available Pieno Fiore leather upholstery, a revised color palette and updated wheels. 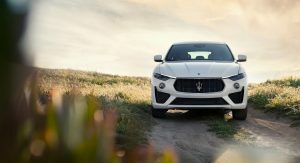 The 2019 Quattroporte GTS GranSport also gains a revised grille and new side skirts. 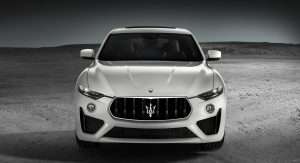 That engine should have went into the Ghibli to be honest.